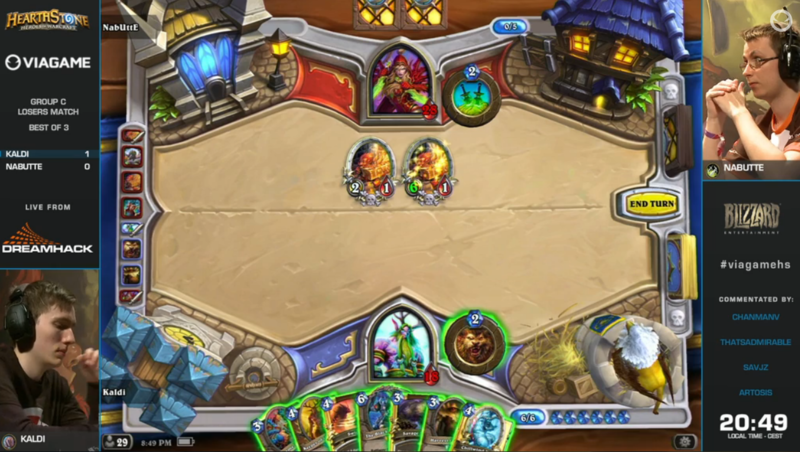 DreamHack Summer this past weekend was a huge success for vVv.Hearthstone. Even though just one player made it completely through the open bracket, vVv Kaldi showed what it takes to be considered a top world-class player by only dropping a single game the entire tournament. His loss was to Xixo who was playing priest unexpectedly. The open bracket finale brought him to within striking distance of the money rounds. vVv Ostkaka made it extremely far, going 2-0 against most of his opponents, losing to Lothar of PlanetKey Dynamics in the winners bracket and dropping to Vinsa 1-2 in the round before the losers bracket semifinals. Congrats to Ostkaka for showing a very solid performance and much fortitude for being a young player. vVv Portex also fell to Lothar earlier in the tournament (before Ostkaka did), but made a huge comeback in the losers bracket only to lose to La00wlzz, a very strong player in the LB quarterfinal match. Despite not being able to be consistently active for a long time due to moving to his native country, Portex made an impressive attempt with his showing. vVv Spo had a mixed bag of well- and lesser-known players on his way to qualifying. He lost to the Miracle Rouge Rezzer 0-2 in the winners bracket and fell to Maka in the losers bracket. In the end, Kaldi was the only player remaining after the 256 man open bracket finished battling it out. 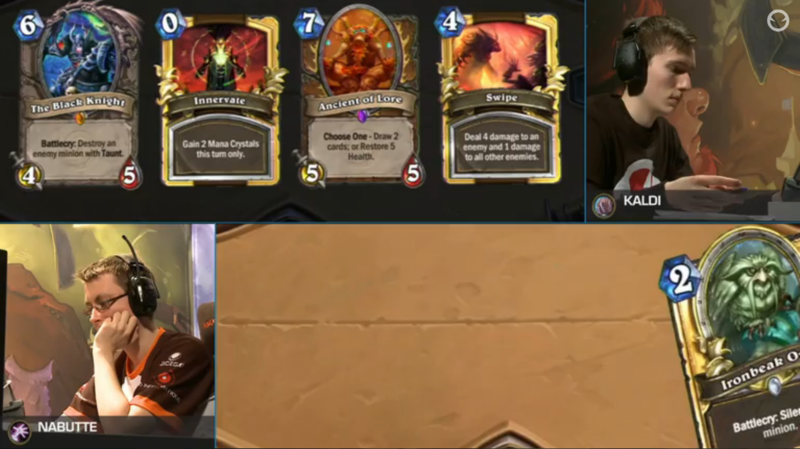 After an exhausting two days, Kaldi went back to the battlefield against his first opponent, and rival, Meet Your Makers' ThijsNL. In game one, it was no surprise that both players decided to play handlock. Kaldi came out the better of the two and took the 1-0 lead. 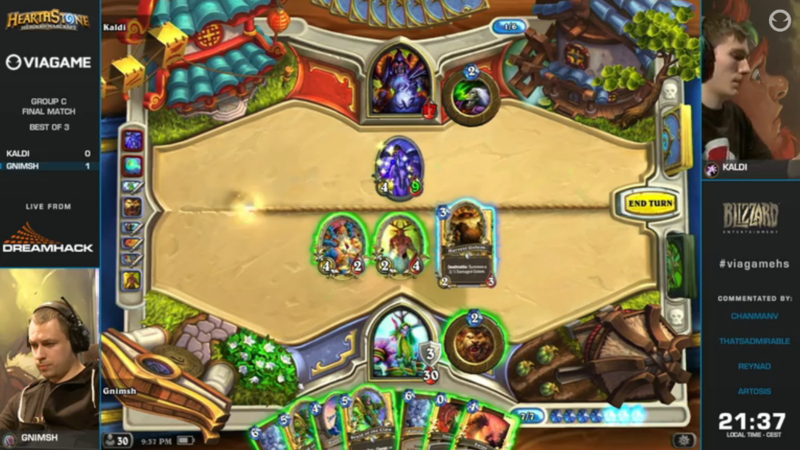 Kaldi then fell two games in a row to Shaman, switching to miracle after the 2nd game, but luck was not on his side that day. In his 2nd group match he faced a very strong opponent in Nabutte, a player known for being extremely aggressive. 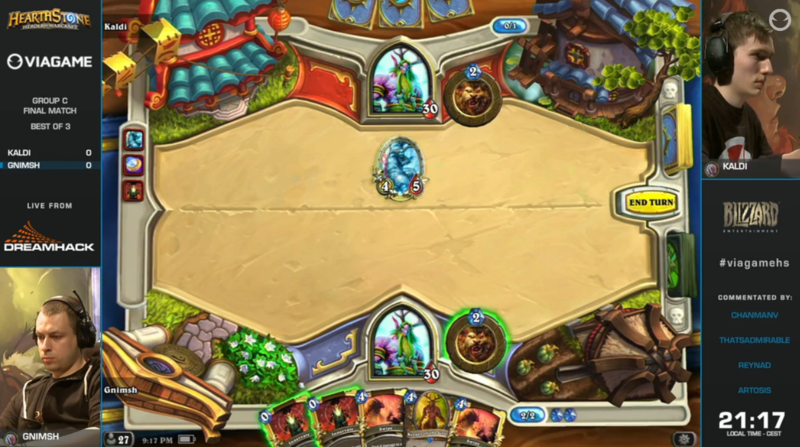 In game one, Kaldi took the favorable matchup of Druid vs Handlock which he won decidedly. 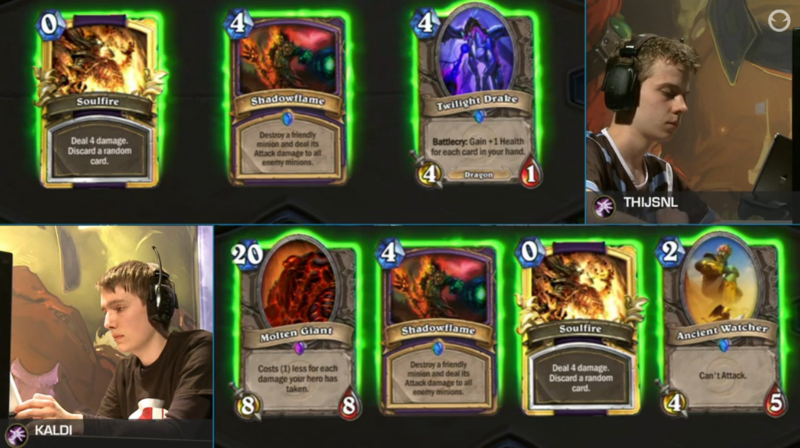 Kaldi then took out Nabutte's favorable Tempo Rogue deck in nail biting fashion as it seemed like Nabutte was getting the exact draws that he needed. But through well thought out plays, Kaldi took him out 2-0. In the final game of the group he faced his only way out to advance by facing the fan favorite Gnimsh in what was considered the "new group of death". 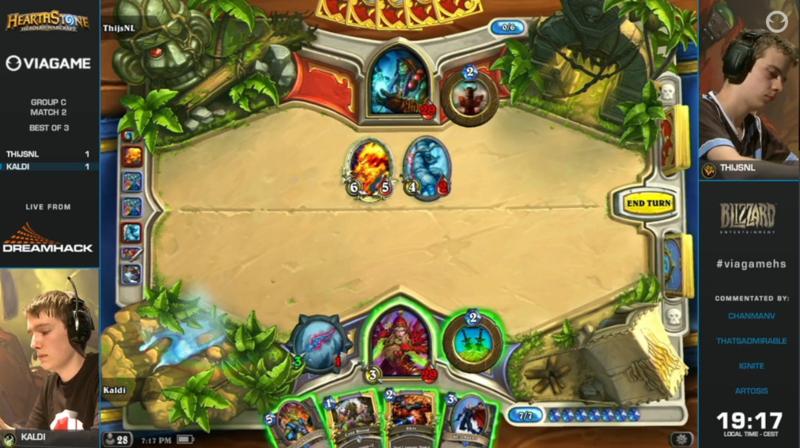 And with that double innervate start, Gnimsh secured game 1 versus Kaldi from the very beginning. With only miracle rogue or handlock left in his pocket, Kaldi had to make a decision. Do you play Handlock into the immediately better yet still less favorable matchup of druid and take your chances against Gnimsh's fabled Trap Hunter deck? Or do you take the slightly better chances against the druid for the worst chances against the Hunter? 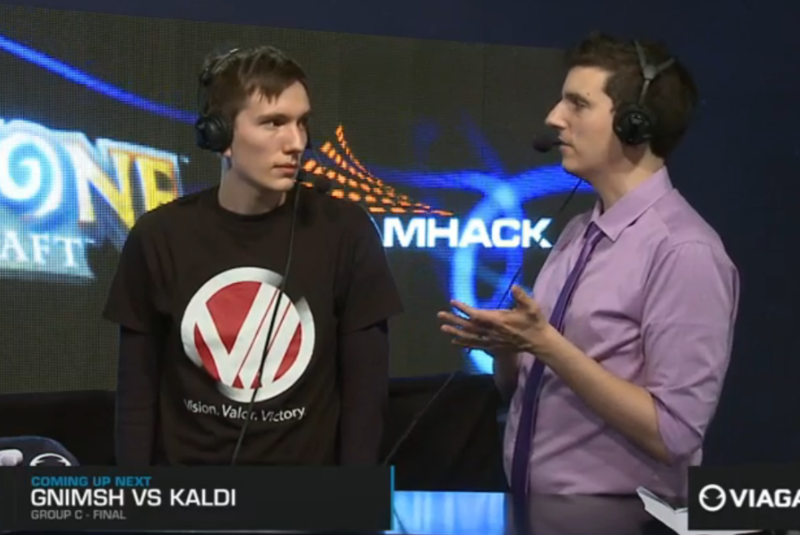 This seemed like the question of the century for Kaldi. In the end, he played what he was most comfortable with. The Handlock. However, he fell 2-0 to Gnimsh. In the end, vVv Hearthstone showed that they not only have the skills to compete among world-class Hearthstone competitors, but also the mental fortitude that they are fighters and refuse to bow down to anyone. vVv Kaldi finished in 9-12th place among the 300 best Hearthstone players internationally. Look for vVv Hearthstone to take a lot from this tournament and only improve in weeks to come. Follow vVv Hearthstone on Twitter.